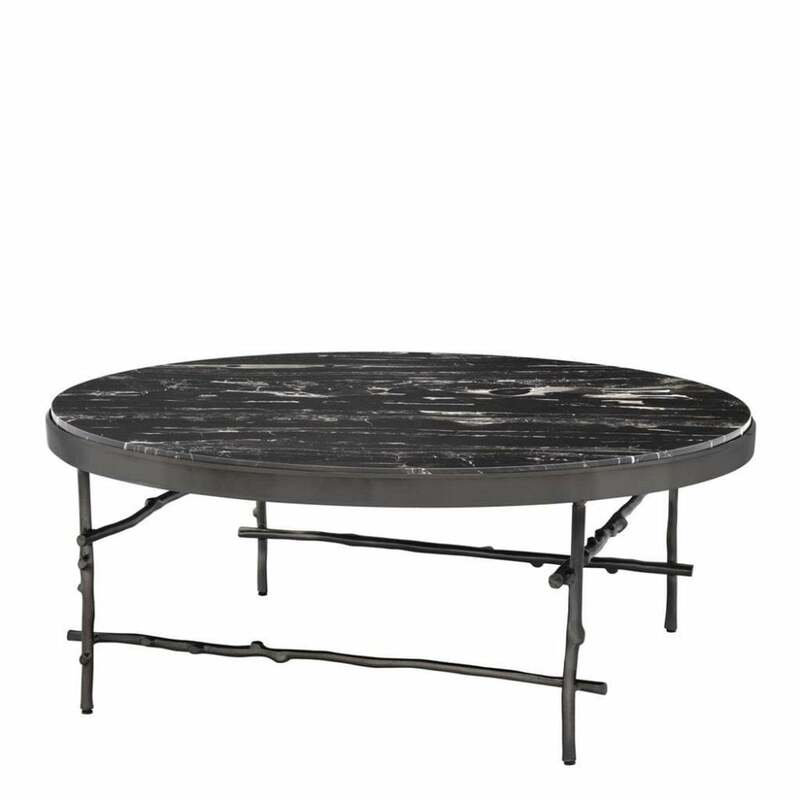 The Tomasso 100cm coffee table by Eichholtz features a round table top crafted from genuine black portoro marble. A must-have investment piece for any design lover, each Tomasso Coffee Table has its own unique pattern. Enhanced with a beautiful polished finish, this natural fine-grained stone can be distinguished by its brilliant gold and silver thread-like veins. Combining natural materials with modern finishes, the deep bronze framework resembles the shape of twisted wood. Tomasso will add texture and sophistication to a luxurious living room scheme. Style with your favourite coffee table books and flowers for a personalised touch. Make an enquiry for information.